Love of space drives invention for students and researchers. On January 18, 2019, a 100-ton rocket lifted off from Uchinoura in Kagoshima Prefecture. Piercing the crisp blue sky of winter, the 26-meter long Epsilon-4 rocketed heavenward with a payload of satellites developed by private businesses and universities under the auspices of the Japan Aerospace Exploration Agency (JAXA). These satellites were put into sun-synchronous orbits at an altitude of 500 kilometers. Their main missions were demonstrations of technology needed to enable business in, and utilization of space, a growing arena of activity in recent years. 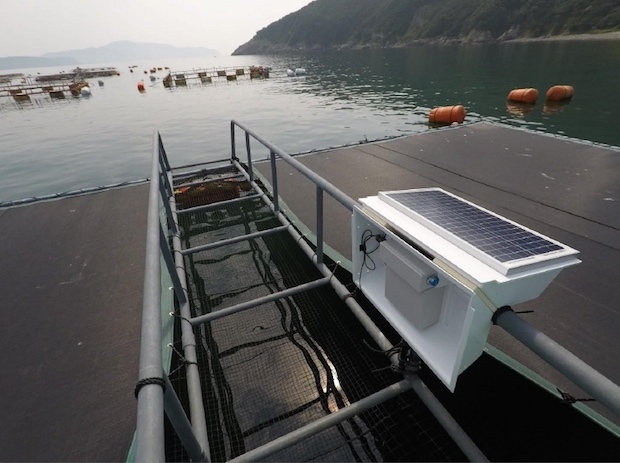 Out of the total 13 themes selected for this launch, Tokyo Tech handled two: an innovative Earth sensor and star tracker applying deep learning (DLAS), and a demonstration for advanced deployable structures based on 3U CubeSats (OrigamiSat-1). Deep Learning Attitude Sensor. Tokyo Tech. Compared to conventional full-sized satellites, microsatellites can be developed at a lower cost and under a reduced lead-time. Thus they are expected to play a crucial role in space business and utilization. Tokyo Tech is a global pioneer of this satellite format, and we interviewed the head of the Laboratory for Space Systems at the Department of Mechanical Engineering, School of Engineering, Professor Saburo Matunaga. We also introduce the two JAXA-selected projects currently in orbit, as well as two Tokyo Tech ventures, Axelspace and UMITRON, that are working to advance private-sector space development. On 14 March, the BepiColombo flight control team at ESA’s mission control centre in Darmstadt, Germany, was joined by experts from the mission team at the Agency’s technical centre in the Netherlands as well as industry to conduct a ‘system validation test’. Such tests are critical milestones in getting a spacecraft, its onboard software, the ground systems and the mission control team ready to handle the real flight. This week, engineers connected their mission control systems to the actual spacecraft, which is now located at ESA’s technical centre, via telecom links, allowing them to ‘talk’ to BepiColombo just as they will after launch when it is in space en route to mercury. A modern spacecraft has 42 000 telemetry parameters and 2650 control parameters in its software – comparable to a mid-size jet aircraft – and hundreds of thousands of lines of code on board. BepiColombo, ESA’s first mission to Mercury, has two science craft: ESA’s Mercury Planetary Orbiter, with 11 experiments and instruments, and Japan’s Mercury Magnetospheric Orbiter, with five experiments and instruments. The spacecraft, along with ground equipment and mission experts, are set to start the move from the Netherlands to Europe’s Spaceport in Kourou, French Guiana at the end of next month. The launch window is open from 5 October until 29 November. 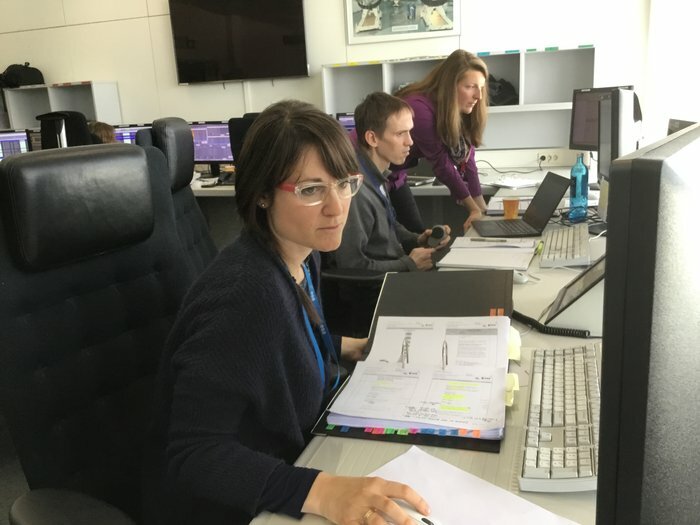 In the photo, in the foreground: Spacecraft Operations Engineer Emanuela Bordoni; centre, Deputy Spacecraft Operations Manager Christoph Steiger; at rear, Susanne Fugger, responsible for BepiColombo operations at Airbus Defence and Space, Germany. See this full article here . ESA/JAXA Elements of the BepiColombo Mercury Composite Spacecraft. From left to right: Mercury Transfer Module (MTM), Mercury Planetary Orbiter (MPO), Magnetospheric Orbiter Sunshield and Interface Structure (MOSIF), and Mercury Magnetospheric Orbiter (MMO). ESA’s first mission to Mercury – is based on two spacecraft: the ESA-led Mercury Planetary Orbiter (MPO), a three-axis stabilised and nadir-pointing spacecraft with 11 experiments and instruments, and the JAXA-led Mercury Magnetospheric Orbiter (MMO), a spinning spacecraft carrying a payload of five experiments and instruments. Europe’s space scientists have identified the mission as one of the most challenging long-term planetary projects, as Mercury’s proximity to the Sun makes it difficult for a spacecraft to reach and survive in the harsh environment. Scientists are keen to go to Mercury for the valuable clues that such a mission can provide in understanding the planet itself as well as the formation of our solar system; clues which cannot be obtained with distant observations from Earth. MPO will study the surface and internal composition of the planet, while MMO will study Mercury’s magnetosphere, the region of space around the planet that is dominated by its magnetic field. The BepiColombo/MPO Flight Control Team (FCT) will operate the Mercury Planetary Orbiter from a Dedicated Control Room located at ESOC, ESA’s operations centre in Germany. Elsa Montagnon was appointed as Spacecraft Operations Manager (SOM) in December 2006. BepiColombo – ESA’s first mission to Mercury – is based on two spacecraft: the ESA-led Mercury Planetary Orbiter (MPO), a three-axis stabilised and nadir-pointing spacecraft with 11 experiments and instruments, and the JAXA-led Mercury Magnetospheric Orbiter (MMO), a spinning spacecraft carrying a payload of five experiments and instruments. BepiColombo, one of the ‘cornerstones’ in ESA’s long-term science programme, presents enormous but exciting challenges. Apart from Venus Express, all of ESA’s previous interplanetary missions have been to relatively cold parts of the Solar System. 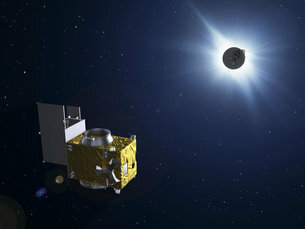 BepiColombo will be the Agency’s first experience in sending a spacecraft so close to the Sun. On its long way to Mercury, the spacecraft must brake against the Sun’s gravity, which increases with proximity to the Sun – rather than accelerate away from it, as is the case with journeys to the outer solar system. BepiColombo will accomplish this by conducting a series of planetary flybys and by using solar electric propulsion (SEP). During the cruise, the team at ESOC in Darmstadt will coordinate operation of the full composite spacecraft using ESA’s 35 m-diameter deep-space tracking station, Cebreros, Spain, supported by the two other 35m stations in Argentina and Australia. Cebreros (DSA 2) will provide telecommanding visibility for some 8 hours daily; a cross-support agreement with JAXA ensures that the Japanese Usuda Deep Space Centre’s 64 m-diameter station can be also be used as back-up during critical phases and in case of problems. 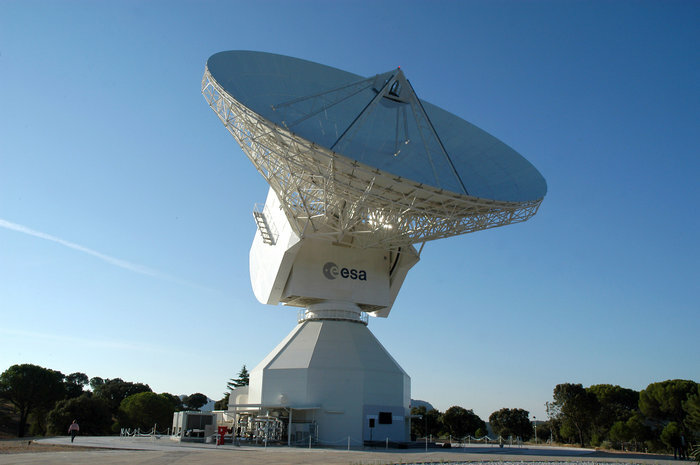 ESA’s 35 m-diameter deep-space dish antenna, DSA-2, is located at Cebreros, near Avila, Spain. 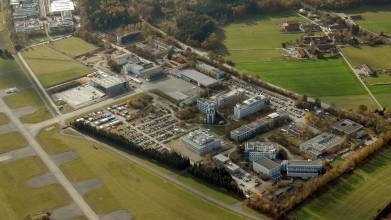 It is controlled, as part of the Estrack network, from ESOC, the European Space Operations Centre, Darmstadt, Germany. Japan’s JAXA Sagamihara Space Operation Centre, using the Usuda station, in Nagano, will take over the operation of the MMO once it is in orbit around Mercury, while ESOC will remain in charge of the MPO spacecraft. These results were published as Okamoto and Sakurai, Super-strong Magnetic Field in Sunspots, in The Astrophysical Journal Letters, 852 (2018). 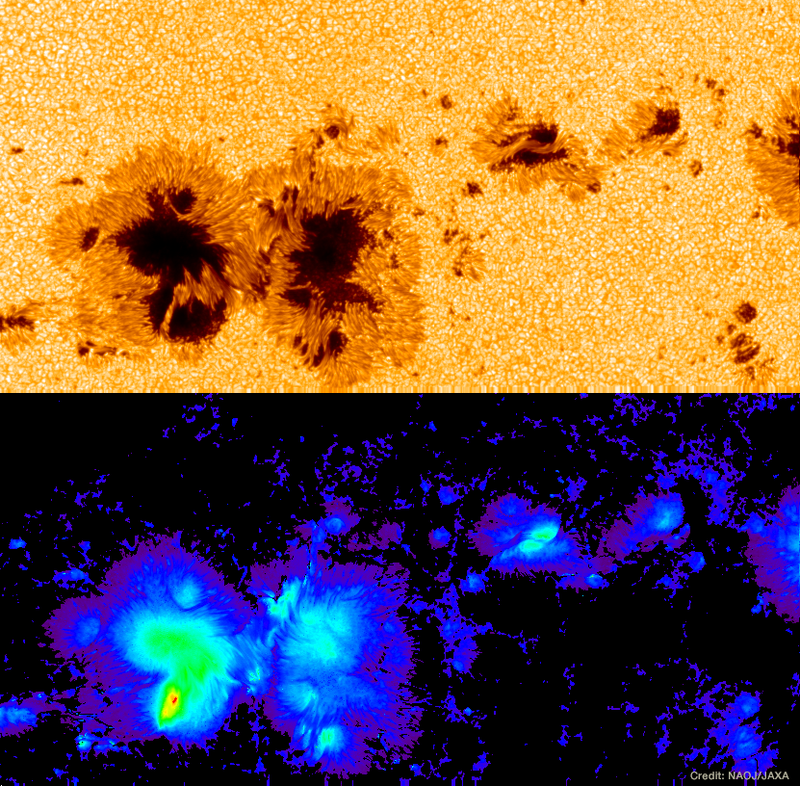 Joten Okamoto (NAOJ Fellow) and Takashi Sakurai (Professor Emeritus of NAOJ) were analyzing data of February 4, 2014 taken by the Solar Optical Telescope onboard HINODE, when they noticed the signature of strongly magnetized iron atoms in a sunspot (Figure 1). Surprisingly the data indicated a magnetic field strength of 6,250 gauss (*1). This is more than double the 3,000 gauss field found around most sunspots. Previously, magnetic fields this strong on the Sun had only been inferred indirectly. More surprisingly, the strongest field was not in the dark part of the umbra, as would be expected, but was actually located at a bright region between two umbrae. HINODE continuously tracked the same sunspot with high spatial resolution for several days. This is impossible for ground-based telescopes because the Earth’s rotation causes the Sun to set and night to fall on the observatories. These continuous data showed that the strong field was always located at the boundary between the bright region and the umbra, and that the horizontal gas flows along the direction of the magnetic fields over the bright region turned down into the Sun when they reached the strong-field area (Figure 2). This indicates that the bright region with the strong field is a penumbra belonging to the southern umbra (S-pole). The horizontal gas flows from the southern umbra compressed the fields near the other umbra (N-pole) and enhanced the field strength to more than 6,000 gauss. 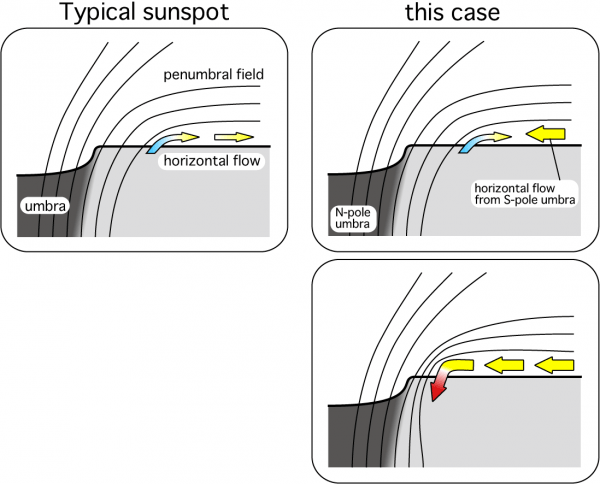 Okamoto explains, “HINODE’s continuous high-resolution data allowed us to analyze the sunspots in detail to investigate the distribution and time evolution of the strong magnetic field and also the surrounding environment. Finally, the longtime mystery of the formation mechanism of a stronger field outside an umbra than in the umbra, has been solved.” These results were published as Joten Okamoto and Takashi Sakurai, “Super-strong Magnetic Field in Sunspots,” in The Astrophysical Journal Letters, 852 (2018). BepiColombo, a joint ESA and JAXA mission to Mercury, has completed its final tests in launch configuration, the last time it will be stacked like this before being reassembled at the launch site next year. The image was taken on 6 July, during a dedicated press event where media were invited to see BepiColombo in ESA’s test centre. In the coming weeks, the three spacecraft elements will be separated for a final set of tests. The Mercury Transfer Module is seen at the bottom of the stack, with one folded solar array visible to the right. When both solar arrays are deployed they span about 30 m. The module will use solar-electric propulsion as well as gravity assists at Earth, Venus and Mercury to carry two science orbiters to Mercury orbit. ESA’s Mercury Planetary Orbiter is seen in the middle of the stack (with the folded solar array towards the left and antenna to the right). JAXA’s Mercury Magnetospheric Orbiter sits at the top of the 6 m-high stack. During the cruise to Mercury it will be protected by the Magnetospheric Orbiter Sunshield and Interface Structure (MOSIF), which in this image is sitting on the floor to the right. After arriving at Mercury, the modules will separate, and from their respective orbits the science orbiters will make complementary measurements of Mercury’s interior, surface, exosphere and magnetosphere, following up on many of the open questions raised by NASA’s Messenger mission. 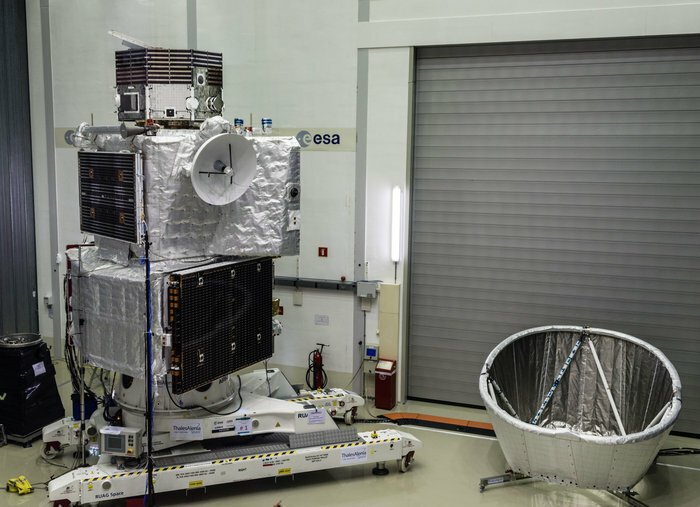 The final tests completed with BepiColombo in the launch configuration – also with the MOSIF in place – were vibration tests to simulate the shaking conditions at launch. In the coming weeks the assembly will be dismantled and the individual modules will undergo final checks following the vibration test, including solar array deployment tests. In addition, the transfer module will undergo a thermal vacuum test to simulate the extreme environmental conditions expected during the cruise. The spacecraft is scheduled to leave Europe in March, with a launch from Kourou, French Guiana, anticipated in October 2018, and arrival at Mercury at the end of 2025. See here for the latest status update, and our video gallery for examples of some of the recent tests. 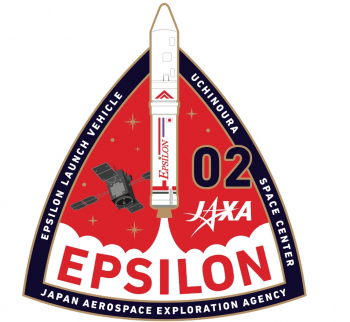 Japan’s Epsilon rocket will make its second flight Tuesday, tasked with orbiting JAXA’s ERG satellite to study Earth’s radiation belts. Liftoff from the Uchinoura Space Centre is scheduled for 20:00 local time (11:00 UTC), the opening of an hour-long launch window. The Exploration of Energisation and Radiation in Geospace (ERG) mission will be operated by the Japan Aerospace Exploration Agency (JAXA), studying Earth’s magnetosphere. Also known as SPRINT-B, ERG is a 365-kilogram (805 lb) satellite based on JAXA’s SPRINT bus, which was demonstrated by 2013’s Hisaki – or SPRINT-A – mission. The spacecraft measures 1.5 by 1.5 by 2.7 meters (4.9 x 4.9 x 8.9 feet) in its launch configuration. 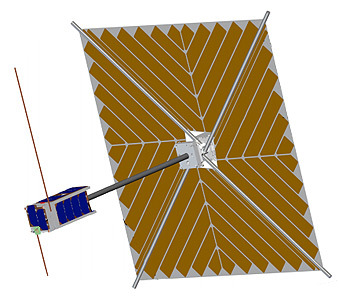 Once in orbit, ERG will deploy its instrument booms and solar arrays. With a span of 6.0 meters (19.7 feet) along the satellite’s x-axis and 5.2 m (17.1 ft) meters along its y-axis, the solar panels will generate over 700 watts of power for the spacecraft’s systems and instruments. Following initial operation and testing, ERG is expected to operate for at least a year. The ERG satellite carries instruments dedicated to the study of plasma, particles, waves and fields in Earth’s radiation belts. Earth’s radiation belts were discovered by James Van Allen’s experiments aboard the first US satellite, Explorer 1, in 1958 although their existence had previously been theorized by other scientists. As a result, the belts are known as the Van Allen belts. Earth has two permanent radiation belts, the inner and outer Van Allen belts, although NASA’s Van Allen Probes, or Radiation Belt Storm Probes (RBSP), which were launched in August 2012, showed that a third belt can form and dissipate. 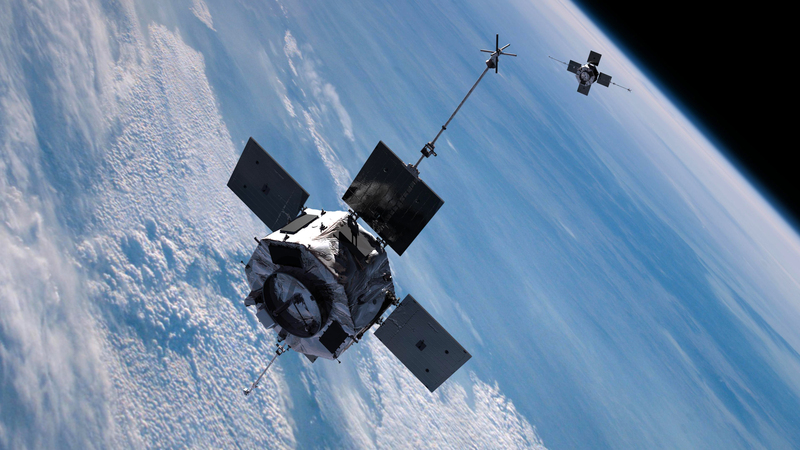 ERG will join NASA’s two Van Allen Probes and three earlier Time History of Events and Macroscale Interactions During Substorms (THEMIS) spacecraft in making in-situ observations of the Van Allen belts. These will be joined by the UA Air Force Research Laboratory’s DSX satellite, currently scheduled for launch aboard SpaceX’s Falcon Heavy rocket next year. ERG’s Plasma and Particle Experiment (PPE) instrument suite consists of electron and ion mass analyzers. The Low Energy Particle Experiments – Electron Analyser (LEP-e), Medium Energy Particle Experiments – Electron Analyser (MEP-e), High Energy Electron Experiments (HEP) and Extremely High Energy Electron Experiments (XEP) instruments will study electrons at increasing energies between 10 electronvolts and 20 megaelectronvolts. Low Energy Particle Experiments – Ion Mass Analyser (LEP-i) and Medium Energy Particle Experiments – Ion Mass Analyser (MEP-i) are mass spectrometers which will be used to study the different types of ions present in ERG’s environment. The Plasma Wave Experiment (PWE) will measure the Earth’s electric and magnetic fields as the satellite passes through them, up to frequencies of 10 megahertz and 100 kilohertz respectively. 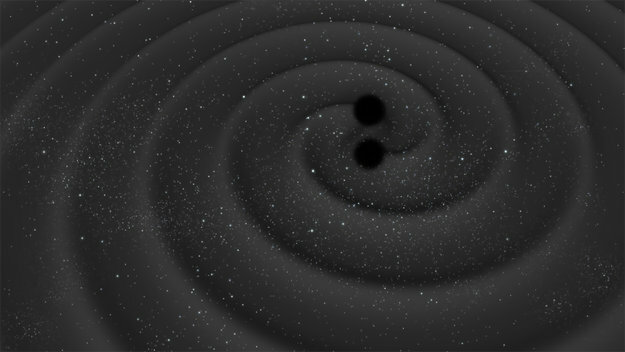 This will be complimented by the Software-Type Wave Particle Interaction Analyser (S-WPIA), software aboard ERG’s computer systems, will attempt to quantify energy transferred between waves and electrons through the spacecraft’s observations of plasma waves and particles. ERG will launch atop JAXA’s solid-fuelled Epsilon rocket, which made its first flight in September 2013 and has not flown since. 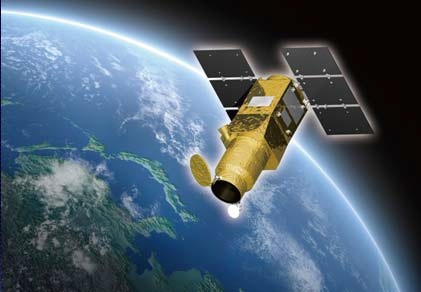 A replacement for the earlier M-V rocket, which retired in September 2006, Epsilon is designed to provide a ride to orbit for Japan’s smaller satellites. Epsilon uses an SRB-A3 motor – used as a strap-on booster on the larger H-IIA and H-IIB rockets – as its first stage with upper stages derived from the M-V.
Epsilon launches from the Uchinoura – formerly Kagoshima – Space Centre, using the same launch pad from which the M-V flew. Also used by earlier members of the Mu family of rockets – of which the M-V was the final member – the complex was originally constructed in the 1960s. It consists of an assembly tower with the rocket mounted upon a movable launcher platform which is rotated into position ahead of launch. This was originally built as a rail launcher for the Mu series, however a pedestal has been added for Epsilon with the former support structure for the rail serving as an umbilical tower. Tuesday’s launch will be the first flight of the operational or “Enhanced Epsilon” configuration, introducing improvements to the upper stages over those used on the maiden flight. The vehicle has been described as “Epsilon-2”, however it is presently unclear whether this name refers to the enhanced configuration, or to Tuesday’s launch being Epsilon’s second flight. 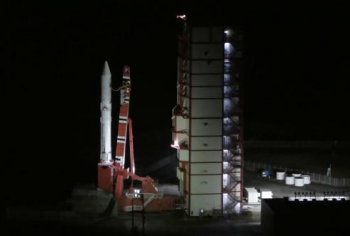 Epsilon’s launch will begin with first stage ignition and liftoff, when the countdown reaches zero. The rocket will fly in a south-easterly direction, along an azimuth of 100 degrees. Its first stage will burn for 109 seconds, accelerating the vehicle to a velocity of 2.5 kilometers per second (5,600 mph). At burnout, Epsilon will be at an altitude of 71 kilometers (44 miles, 38 nautical miles) and 75 kilometers (47 miles, 40 nautical miles) downrange. After the end of the first stage burn, Epsilon will enter a coast phase as it ascends into space. Around 41 seconds after burnout, at an altitude of 115 kilometers (71.5 miles, 62.1 nautical miles), the payload fairing will separate from the nose of the rocket. Eleven seconds later the spent first stage will be jettisoned. Epsilon-2 has an M-35 second stage, in place of the M-34c used on the maiden flight. The new stage is larger than its predecessor and has a fixed nozzle instead of the extendible nozzle used on the M-34c. The M-35 generates 445 kilonewtons of thrust, an increase from the 327 kilonewtons generated by the M-34c, and burns for fifteen seconds longer. 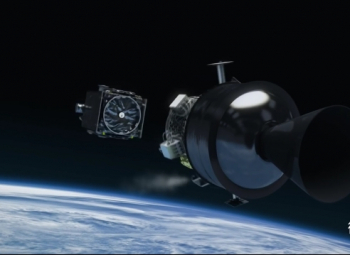 The second stage will ignite four seconds after first stage separation, burning for two minutes and eight seconds. A second coast phase will take place between second stage burnout and third stage ignition. One minute and forty-five seconds after burning out, the second stage will separation, with the third stage igniting four seconds later. During the coast phase the third stage will be spun-up; spin-stabilisation is used to help it maintain attitude during its burn. For Tuesday’s launch the third stage has also been upgraded, with Epsilon-2 using a KM-V2c instead of the KM-V2b that flew on the 2013 launch. This uses a fixed nozzle instead of an extendible one, but has no significant difference in performance. The third stage will burn for about 89 seconds. Epsilon can fly with a liquid-fuelled fourth stage, the Compact Liquid Propulsion System (CLPS), which was used on its first launch. This is not required for Tuesday’s launch, so instead the rocket is flying in its all-solid three-stage configuration for the first time. Spacecraft separation is scheduled for thirteen minutes and twenty-seven seconds after liftoff; five minutes and sixteen seconds after third stage burnout. Tuesday’s launch is targeting an elliptical orbit with a perigee – the point closest to Earth – of 219 kilometers (136 miles, 118 nautical miles) and an apogee – or highest point – of 33,200 kilometers (20,600 miles, 17,900 nautical miles). The orbit will have inclination of 31.4 degrees to the equator, with the satellite taking about 580 minutes – or 9.7 hours – to complete one revolution. Tuesday’s launch is Japan’s fourth and last of 2016, following H-IIA missions in February and November which deployed the Hitomi observatory and the Himawari 9 weather satellite – and an H-IIB launch earlier this month with the Kounotori 6 spacecraft to resupply the International Space Station. Japan’s next launch, currently scheduled for 11 January, will be an experimental flight which aims to use a modified SS-520 sounding rocket to orbit a single three-unit CubeSat. 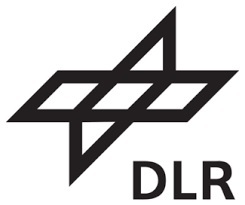 An H-IIA launch carrying the DSN-2 communications satellite is also scheduled for January. The next Epsilon launch will carry the ASNARO-2 experimental radar imaging satellite. This is expected to occur during Japan’s 2017 financial year, which begins on 1 April. Tags: A quest for redemption, Astronomy ( 7,563 ), Basic Research ( 10,460 ), JAXA, What is the future? Now JAXA is considering whether to rebuild and relaunch a copy of the spacecraft’s key instrument — a US-built X-ray spectrometer — with help from NASA. On 5 August, representatives of the two space agencies will meet to discuss the possibility of resurrecting the instrument that was the heart of Hitomi’s science. But whether JAXA can regain the confidence of the Japanese nation, and of its international partners, remains to be seen. “It’s important to note how resourceful JAXA has been at recovering from failures that typically would be catastrophic,” says Ralph Lorenz, a planetary scientist at the Johns Hopkins University Applied Physics Laboratory in Laurel, Maryland, and co-author of the book Space System Failures (Praxis, 2005). Hitomi broke apart because an erroneous software command prompted the spacecraft to spin faster and faster, until its solar panels flew off into space. A JAXA investigation blamed faulty project-management techniques for not catching the error. The failure has reverberated at every level of JAXA’s Institute of Space and Astronautical Science (ISAS) in Sagamihara, which managed Hitomi. JAXA president Naoki Okumura was one of three leading officials who took a 10% pay cut for four months “to express our regret and caution ourselves”, he said in a June press conference. He has also ordered a systems review of the institute’s next big project: a mission to study Earth’s radiation belts that is slated to launch in the coming months. Before Hitomi, JAXA’s lowest point was perhaps the loss of its Nozomi mission to Mars, which sailed past the red planet in 2003 without entering orbit as it was supposed to. The same year, a new JAXA rocket design failed during a test launch, prompting a review of all agency projects. Some have questioned whether JAXA is trying to do too much with too little. It often assigns one person to cover a number of tasks that NASA would spread among multiple project engineers, says Lorenz, who collaborates on the Akatsuki Venus probe. Okumura has acknowledged as much, saying that ISAS will generally develop a mission using a small in-house team, along with the spacecraft manufacturer. By contrast, Hitomi involved a larger number of complex systems. There were simply not enough safeguards built into the process to catch the software error. “The previously conventional ISAS methods were not necessarily suited for the production of modern satellites and spacecraft,” Okumura said. 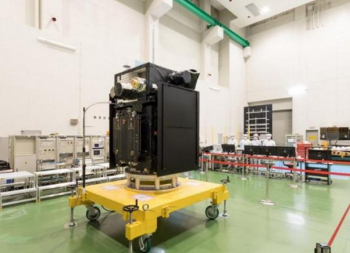 JAXA has released an extraordinary level of technical detail about the failure. Agency officials have said that because Hitomi was meant as a community mission to serve X-ray astronomers across the globe, they feel obligated to explain what happened so that nobody makes the same mistake. 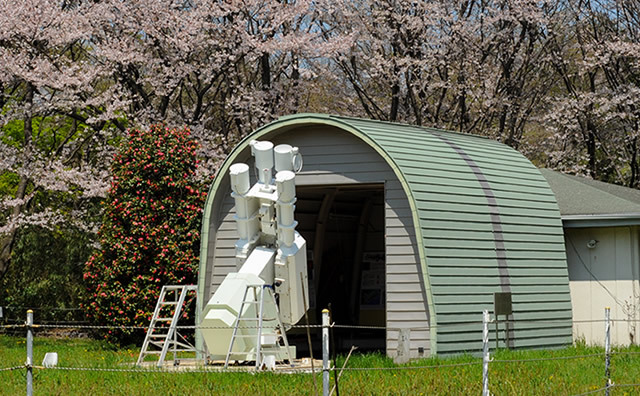 Because of this determination and openness, “I think Hitomi’s successor is in safe hands with JAXA,” says Elizabeth Tasker, an astrophysicist at Hokkaido University in Sapporo, Japan. But such projects may be a hard sell to politicians. “High-profile setbacks like Nozomi and Hitomi make it difficult for JAXA to justify big-ticket science missions in today’s political atmosphere,” says Saadia Pekkanen, an expert in Japanese space policy at the University of Washington in Seattle. JAXA has not yet decided whether a Hitomi successor would fly or which instruments it would carry, says ISAS spokeswoman Chisato Ikuta. 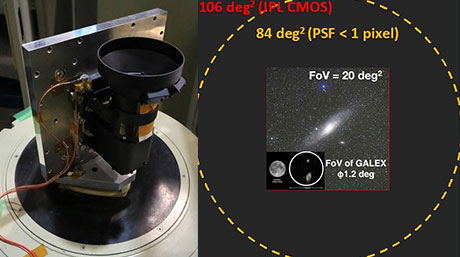 But Hitomi’s premier scientific instrument was the spectrometer provided by NASA; data that it collected before the spacecraft died revealed secrets about gas flows in the Perseus galaxy cluster. The spectrometer seems to be thrice cursed; two earlier versions on different satellites were lost to a launch failure and a coolant leakage. 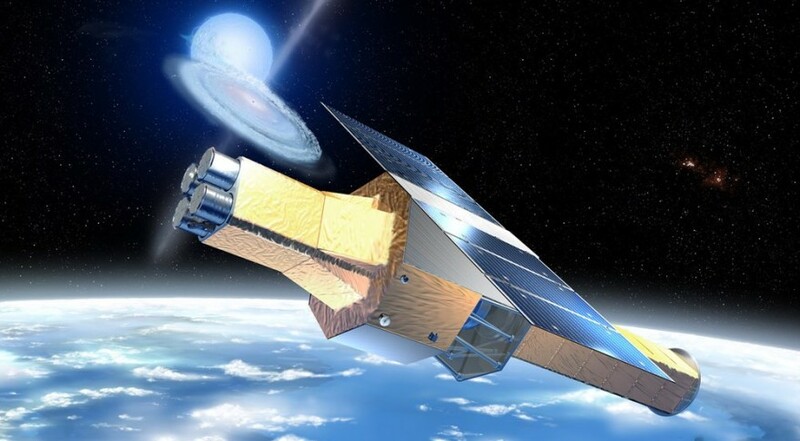 Even so, a NASA advisory group reported on 5 July that launching a copy of the instrument no later than 2023 “would fulfill the immense scientific promise of the Hitomi” spectrometer. The cost to rebuild would be roughly US$70 million to $90 million. 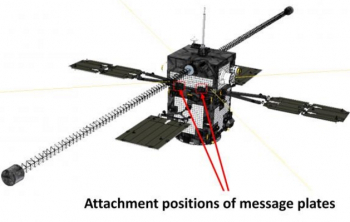 Other international missions in the works from JAXA include a magnetospheric orbiter, which is scheduled to launch next year on the European Space Agency’s BepiColumbo mission to Mercury. Analyzing the motion of X-ray sources could help researchers identify dark matter signals. Dark matter or not dark matter? That is the question when it comes to the origin of intriguing X-ray signals scientists have found coming from space. In a theory paper published today in Physical Review Letters, scientists have suggested a surprisingly simple way of finding the answer: by setting up a speed trap for the enigmatic particles. Eighty-five percent of all matter in the universe is dark: It doesn’t emit light, nor does it interact much with regular matter other than through gravity. The nature of dark matter remains one of the biggest mysteries of modern physics. Most researchers believe that the invisible substance is made of fundamental particles, but so far they’ve evaded detection. One way scientists hope to prove their particle assumption is by searching the sky for energetic light that would emerge when dark matter particles decayed or annihilated each other in space. Over the past couple of years, several groups analyzing data from two X-ray satellites—the European Space Agency’s XMM-Newton and NASA’s Chandra X-ray space observatories—reported the detection of faint X-rays with a well-defined energy of 3500 electronvolts (3.5 keV). The signal emanated from the center of the Milky Way; its nearest neighbor galaxy, Andromeda; and a number of galaxy clusters. Some scientists believe it might be a telltale sign of decaying dark matter particles called sterile neutrinos—hypothetical heavier siblings of the known neutrinos produced in fusion reactions in the sun, radioactive decays and other nuclear processes. However, other researchers argue that there could be more mundane astrophysical origins such as hot gases. There might be a straightforward way of distinguishing between the two possibilities, suggest researchers from Ohio State University and the Kavli Institute for Particle Astrophysics and Cosmology [KIPAC], a joint institute of Stanford University and SLAC National Accelerator Laboratory. It involves taking a closer look at the Doppler shifts of the X-ray signal. The Doppler effect is the shift of a signal to higher or lower frequencies depending on the relative velocity between the signal source and its observer. It’s used, for instance, in roadside speed traps by the police, but it could also help astrophysicists “catch” dark matter particles. Although a promising approach, it can’t just yet be applied to the 3.5-keV X-rays because the associated Doppler shifts are very small. Current instruments either don’t have enough energy resolution for the analysis or they don’t operate in the right energy range. However, this situation may change very soon with ASTRO-H, an X-ray satellite of the Japan Aerospace Exploration Agency, whose launch is planned for early this year. As the researchers show in their paper, it will have just the right specifications to return a verdict on the mystery X-ray line. Dark matter had better watch its speed.